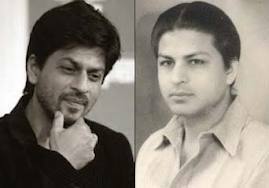 Superstar Shah Rukh Khan(Hindi) today remembered his late father Taj Mohammed Khan on his 31st death anniversary. The 46-year-old actor's father died from cancer when he was just 15-years-old. "Where shall I find you now, in which garden can we sit? Where might you and I chat for a bit? My father's 'barsi' today. 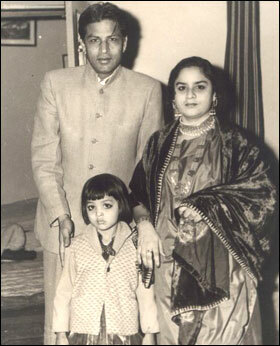 31 years without him," Shah Rukh posted on Twitter. The actor also tweeted a photo of his late father in another post writing, "Life is beautiful for it never takes away the people it pretends it does. It is just a question of us calling its bluff." Shah Rukh recently fulfilled one of his father's wish by visiting Kashmir. The superstar was there to shoot Yash Chopra's upcoming film "Jab Tak Hai Jaan". He shot in Pahalgam, Gulmarg and Srinagar for it. In the film, the actor plays an army officer named Samar and he is paired opposite Katrina Kaif and Anushka Sharma.